Enjoy the mesmerizing views of the ocean, Catalina, bluffs and white water from this one level home that is perfectly situated to take advantage of it all. This is the most spectacular view you could ever see! The home has 4 bedrooms, including office, large living/dining room plus separate family room and kitchen with breakfast area. There are high vaulted ceilings, two fireplaces, master with large walk-in closet and huge bath, plus three car garage. Peaceful and private, you will love sitting on your patio watching the boats sail by. 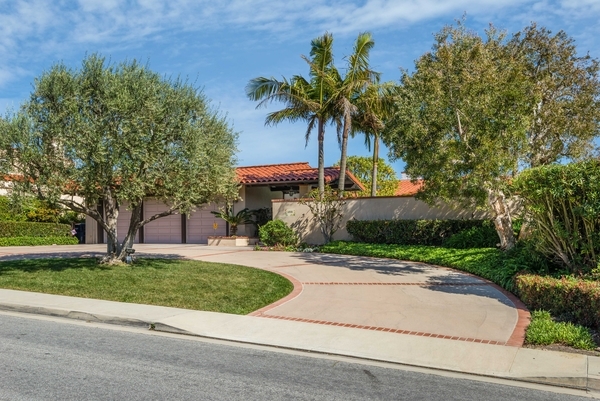 This is the Palos Verdes lifestyle you have been searching for. A very rare find!